We had our final cardiologist appointment here in Illinois before we move. This was Isabelle’s first appointment since her post op check up and I was a tiny bit worried that something might come up. 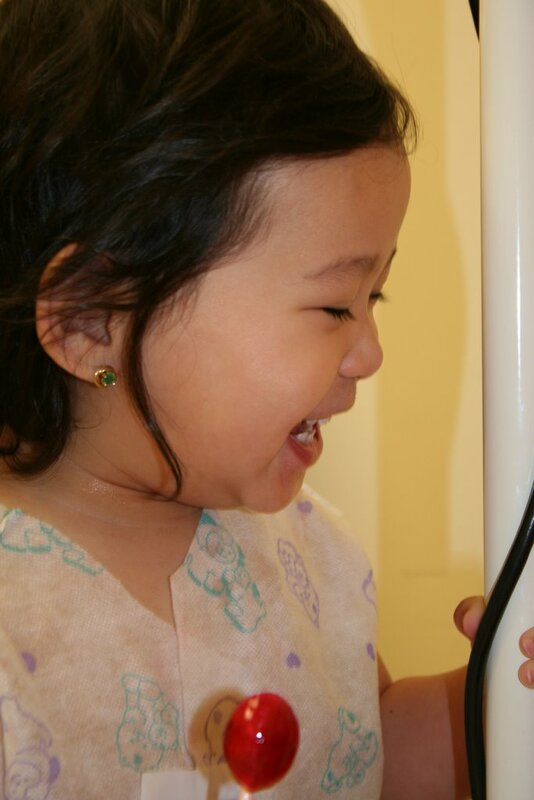 When we arrived I asked if an echocardiogram was scheduled and she said Dr. Chen would examine Isabelle and decide then. We were sent for a chest x ray and then came back to the room to wait for the doctor to come in. The doctor had been a little concerned at our last visit that Isabelle’s heart was still quite enlarged, even after the surgery. When Dr. Chen arrived she commented immediately on Isabelle’s weight gain since she’d last seen her. Also on how ‘busy’ she was. 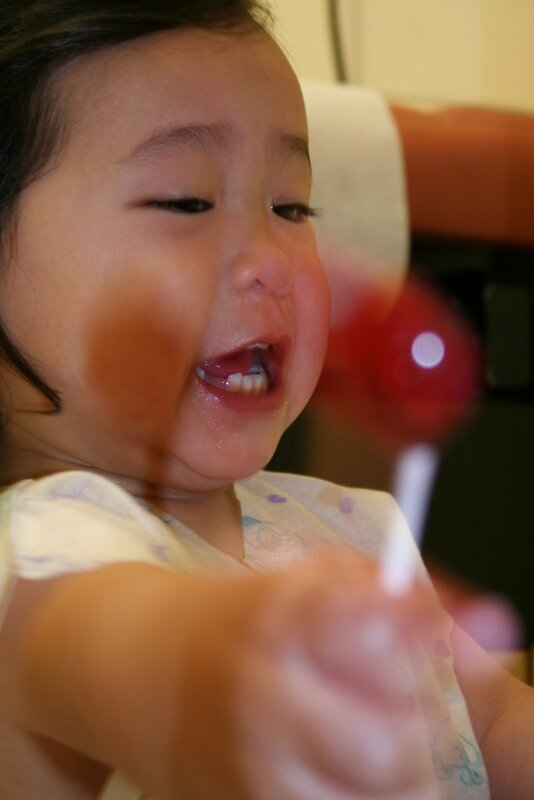 Isabelle was not fond of the doctor listening to her chest so I pulled out the emergency lollipop and all was well. After the exam was finished we got the good news that Isabelle is no longer a cardio patient!! She can be followed by a regular pediatrician and only referred out to a cardiologist if something comes up. Praise God! She will have to always keep in mind that she could suffer from irregular heartbeat as an adult, but that is not expected to be an issue for her. I wanted a picture of Isabelle with her doctor, I just loved the fact that her cardiologist happened to be a Chinese woman. Unfortunately Isabelle doesn’t appreciate their commonality and refused to be held by Dr. Chen. I thought about not posting the picture of the three of us, I seem to have sprouted a double chin. Ahhh, a wonderful reminder of the things I have to look forward to as I get older.